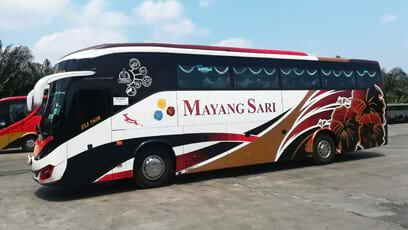 Mayang Sari Express is one of the major bus companies in Peninsular Malaysia operated by Aerosystem Tour & Travel Sdn Bhd. It begins operation in 1993 with only two buses and the numbers keep increasing. Now, Mayang Sari owns up to more than 100 buses. The company is based in Muar, Johor. There are many express buses provided to go back and forth from Johor and other locations to other states within Peninsular Malaysia such as Malacca and Pulau Pinang. With BusOnlineTicket.com, online booking for Mayang Sari bus tickets from Kuala Lumpur to Muar and from Kuala Lumpur to Pontian is now available in our portal. Departure point and the drop off point for Kuala Lumpur is at Terminal Bersepadu Selatan (TBS), located in Bandar Tasik Selatan, Kuala Lumpur. For Muar, the pickup and drop off point is in Perhentian Bas Ekspress Bentayan Muar and for Pontian, it is in Pontian Bus Station. 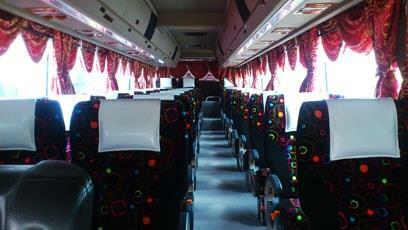 Mayang Sari express provides many trips everyday for the passengers. Therefore, passengers can conveniently choose the time that is suitable to match their schedule. The buses have 30 seats arranged in comfortable “2+1” seating arrangement. Passengers will be able to enjoy the bus trip at ease.